A collaborative project with Rhona Byrne and Yvonne Mc Guinness. Commissioned by Fingal County Council Arts office for their 1916 Commemorative Public Art Commission, ‘Mobile Monuments’ was produced as part of the 1916 Centenary Programme over a six-month period. 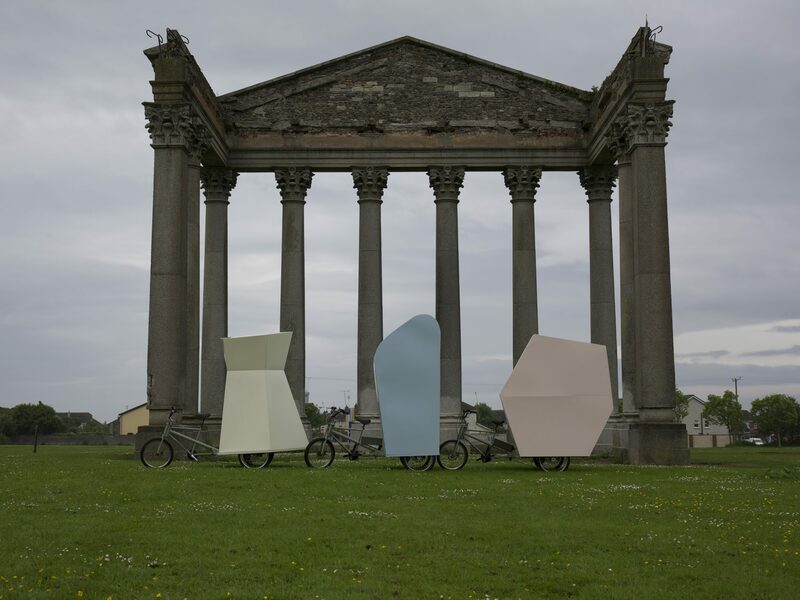 The project involved three trikes with mobile sculptures, which turned into performance platforms becoming ‘forms in action’.